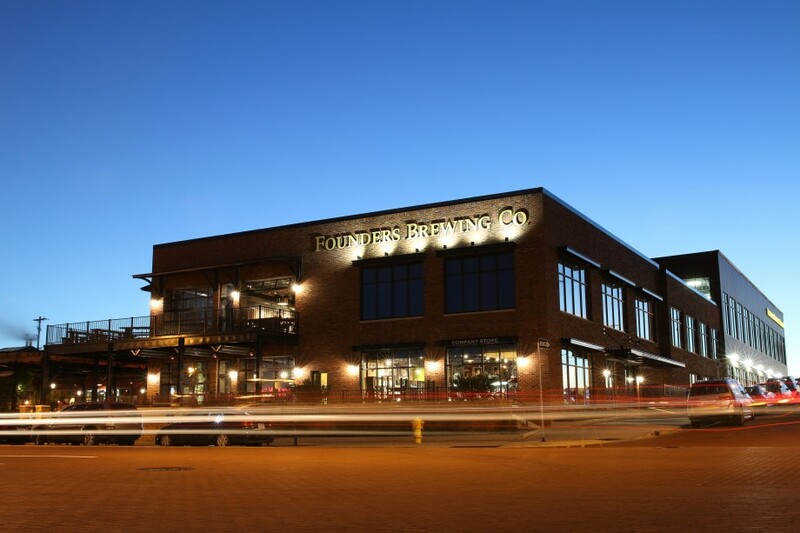 An Update from Our Co-Founders - Founders Brewing Co.
Posted on December 17, 2014 by Founders Brewing Co. Founders was first dreamt up about 20 years ago, when my fellow co-founder Dave and I were in college, imagining what we wanted to do with the rest of our lives. We were admittedly a bit foolhardy back in those days. The first chapter of our story was marked by years of struggle, to the point where we were on the brink of bankruptcy in the early 2000s. We turned things around with our “Brewed for Us” philosophy in the second chapter of the brewery, but it wasn’t until the third chapter, when we moved to our current facility in 2007, that we started to get some real recognition and were able to grow to meet increasing demand. Over the course of the past several months, Dave and I realized that we were coming upon the time to bring on a long-term partner to help us grow our brand on a larger scale—to move into the brewery’s next chapter. Founders has become recognized as one of the leaders in the craft beer segment. In considering the legacy of our brand, we knew that diversifying our ownership would allow Founders to thrive for many future generations. It’s important to us that Founders becomes a multi-generational brewery with roots in the culture that we’ve built right here in Grand Rapids. Mahou shares many of our values. Family comes first to them, just as it does to the Founders Family. Mahou has been family-owned for its entire 125-year history; the family’s matriarch still runs the board despite being in her 80s. They are committed to quality and authenticity, just as we are. Founders will remain Founders. Nothing will change—well, not any more that it does in a usual month at Founders, during a facility expansion, no less. We are committed to growing here in Grand Rapids. The brewery will stay here, and our beers will not change—though we’ll keep innovating. The entire Founders Family will stay intact. In fact, we’ll continue to grow the Founders Family as we have been for the past handful of years. Perhaps the most important reason why this partnership makes sense at this point in the Founders story is we are poised to redefine beer around the globe, and Mahou is looking forward to helping us do that. Mahou admires what we’re doing, and both breweries recognize that we can change the world’s perception of beer more effectively if we work together. This is a moment of pride and celebration for this brewery that the Founders Family has poured our blood, sweat and tears into. The liquid speaks for itself. American craft brewing has moved from a hobby to an internationally recognized industry. The world has taken notice, and this partnership will allow us to continue to blow more and more people away with Founders beers. We’re thrilled to be at the forefront of redefining what beer can be in Grand Rapids, in Michigan, in the United States, and, soon, around the globe. We can’t thank you enough for your support over the years. While we’ve changed a ton over the past 17 years, our brand, our culture and our Founders Family are still the most important factors in what makes Founders something we’re all proud to be a part of. We remain committed to those things above all. Thanks for joining us on this incredible ride so far. Hang on, because it’s nowhere near over. Love Founders! Congrats on the deal! You are my favorite brewery by far! As long as the beer is still good I don’t care who you sell ownership to. Really tired of people screaming that the sky is falling every time a craft brewery (whatever that means now) sells to a big brewer. Does this mean a level pool table too?